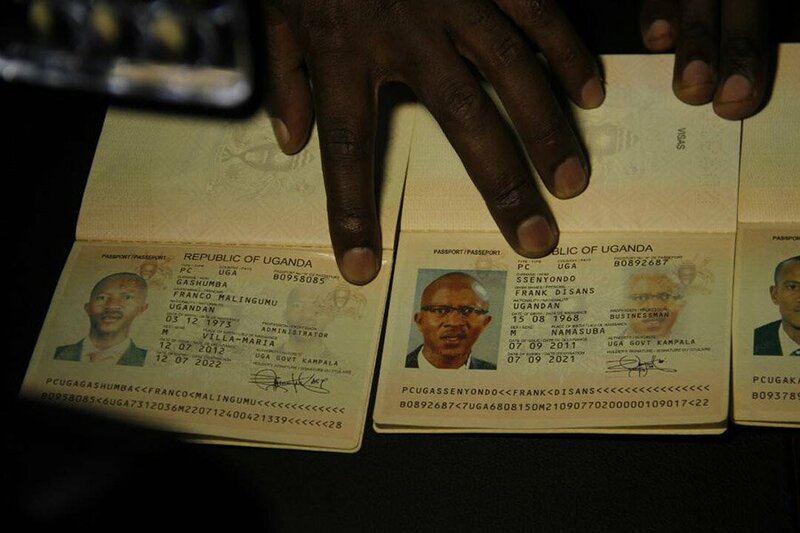 Political commentator, CEO of Mali group of companies, Frank Gashumba has been found in possession of cocaine, marijuana and multiple passports in his name. The renown government critic was arrested on Monday by CMI operatives and detained at Mbuya. On Tuesday, operatives combed his house in Bunga, where they found the items. The Ministry of Defence has cleared the air on the arrest of outspoken government critic and city businessman Frank Gashumba. Gashumba was arrested on Monday night and detained by the Chieftaincy of Military Intelligence. Addressing a news conference on Tuesday evening at the Ministry of Defence headquarters in Mbuya, the UPDF deputy spokesperson Lt.Deo Akiiki explained that following a tip off, CMI operatives intercepted a deal in which Gashumba was about to fleece an investor of huge sums of money. “Under the cover of a company named Flagship group purported to be contract by the Ministry of Defence for out sourcing, Gashumba and two others had invited investors to Golden Tulip hotel in Nakasero for a meeting over a deal to supply UPDF with hundreds of military trucks,”Lt.Akiiki told journalists. According to the Ministry of Defence and UPDF spokesperson, one Nasser Mukungu was arrested by JATT operatives at the scene whereas one Innocent Kasumba also known as Simon Mutabaazi escaped the arrest. Lt.Akiiki explained that on Saturday, Kasumba, who happens to be a brother to Frank Gashumba was arrested and a search was conducted at his house discovering a number of items. Among the items he was found with included two passports with separate identities. Mr Gashumba runs a civil organisation known as Sisimuka Uganda where he sensitizes Ugandans about government excesses and failures. Mr Gashumba had since been commanding a large following both on social media, open air meetings and on radio and TV stations where he is regularly invited. Recently, the Uganda Communication Commission banned radio TV stations from hosting him. It’s not yet clear whether Mr Gashumba was arrested in connection with his picture on social media where he was seen wearing an army uniform. Mr Gashumba has had a fair share of run-ins with the law. In February 2011, he was convicted for conspiracy to defraud DFCU bank. Eight months later, Mr Gashumba was arrested for trying to defraud EYG Group a Turkish company dealing in fire tenders of $28m (Shs79.9billion) on pretext that they wanted to buy fire trucks on behalf of the government of Uganda. In April 2008, he was arraigned before Buganda Road Court and charged with obtaining money by false pretence from a one Abdul Ssali.